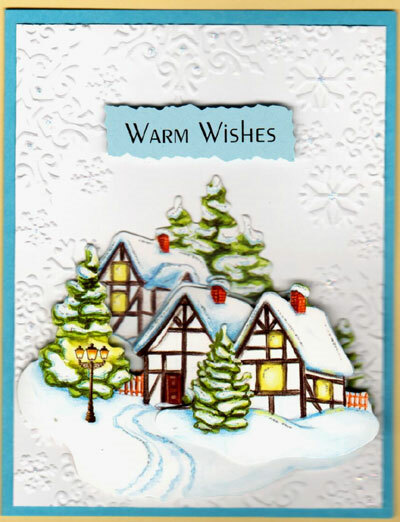 We love this NEW design in 3-D Winter Villages - so cozy and charming! 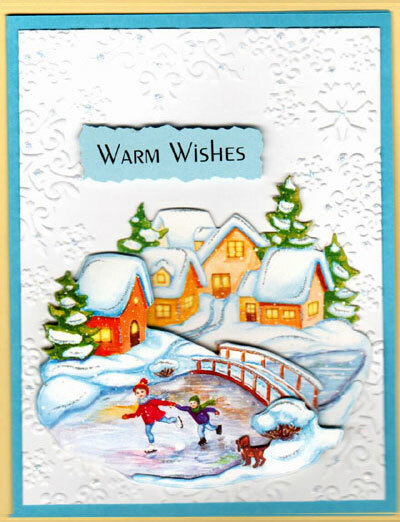 Make ten 3-D cards FAST and EASILY - great for kids, too! 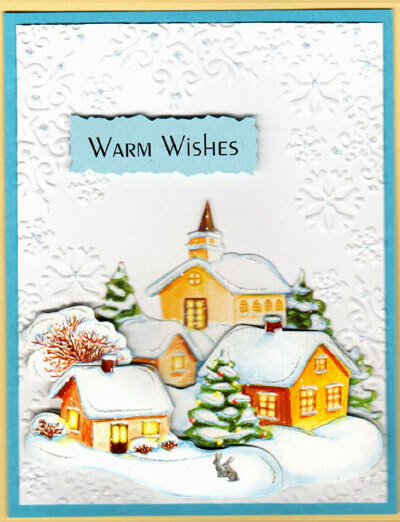 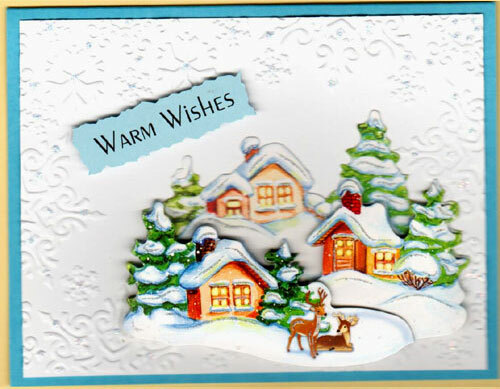 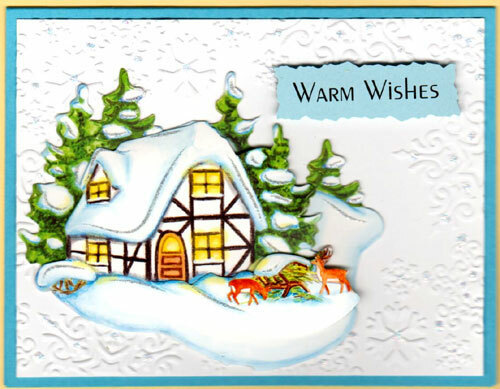 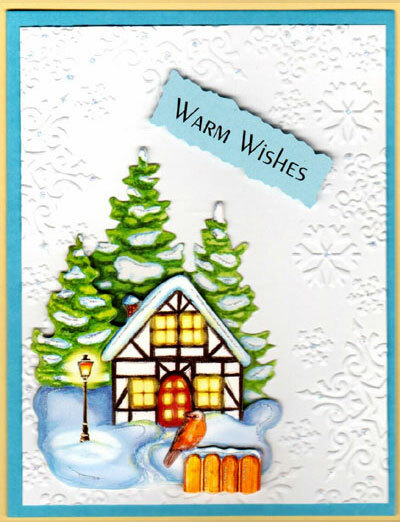 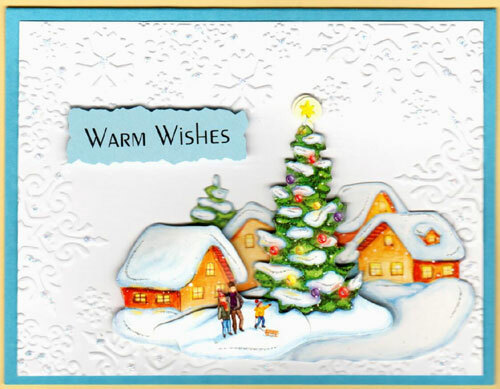 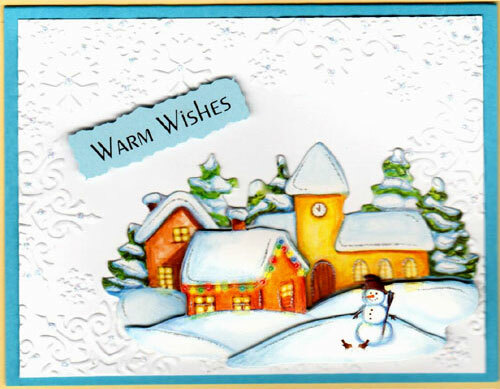 Just layer the 3 pre-cut pieces for each design with foam tape ($2.95) - then assemble the card. 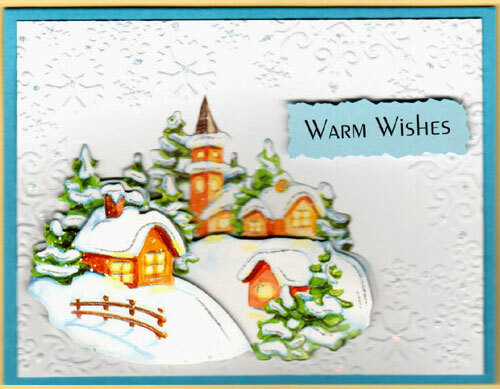 Highlight the embossed snowflakes with glitter glue if desired.